at Haridwar. Over Night stay at Mussoorie. After Breakfast visit to Kempty Fall. Afternoon visits to Van Chetna Kendra Mussoorie Ropeway.Over Night stay at Mussoorie. After Breakfast, check out from Mussoorie & departs for Rishikesh. En-route, visit to MussoorieLake. Enjoy Boating in the lake. Reach at Rishikesh check-in at Hotel fresh-up Visit to Lakshman Jhoola. Evening, attend Aarti at Har-Ki Pauri. Over Night stay at Rishikesh. Early morning enjoy River Rafting in Rishikesh. After B/F, check out from Rishikesh & departs for Corbett National Park. Over Night stay at Corbett. Ride or spend some time at Riverside. Over Night stay at Corbett. After Breakfast check out from Corbett & departs for Ranikhet. Visit to KRC Museum, Chaubatia Garden, Upat, Kali Devi Temple. Over Night stay at Ranikhet. After Breakfast check out from Ranikhet & departs for Kausani. En-route visit Dwarahat. OverNight stay at Kausani. Anashakti Ashram, Sunset Point. Over Night stay at Kausani. After Breakfast check out from Kausani & departs to Nainital. En-route, visit to Bhim Tal,Naukuchiya Tal, Sat Tal. Enjoy Boating in these lakes. Over Night stay at Nainital. 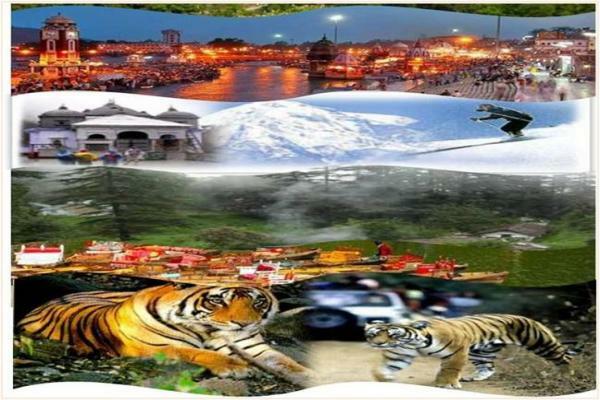 After Breakfast visit to local sightseeing like High Altitude Zoo, Eco Cave Garden, Raj Bhawan,Nainital Ropeway, Snow Point, Naini Temple, Naini Lake, Boat Club. Enjoy Boating in NainiLake. Do some shopping at Mall Road in the evening. Take a Buggy Ride on Mall Road. OverNight stay at Nainital.